Weatherization programs throughout the country have gained popularity over the years. Here in West Michigan you hear radio commercials all the time by DTE Energy advertising their weatherization program. States are even expected to expand programs such as the DOE’s federal weatherization program with a goal of reducing emissions from power generation. Are these programs working? Are the participating residents seeing reduction in their energy bills? Is the cost of the upgrades paying off by increased energy savings? These are hard questions to answer. The only way to really know is to monitor the performance of the home after the upgrades are complete and compare them to the performance prior to the upgrades. They are not working, according to a study done by the University of Chicago. The study used data from a random sample of 30,000 low-income Michigan households that were eligible for an Energy Department home weatherization program. They found that the projected energy savings were 2.5 times greater than the actual savings. Which means the payoff was much longer than projected. The study was conducted by Michael Greenstone of The University of Chicago and University of California at Berkeley economists Meredith Fowlie and Catherine Wolfram. The study has not been reviewed by a panel of peers and is being criticized by energy experts saying its a broad conclusion from such a small regional study. Greenstone says he has similar findings in a middle-income study he is conducting in Wisconsin. I would bet his findings would be consistent all over the U.S.
As an residential energy expert, am I surprised by these findings? Absolutely not. The intentions of these weatherization programs are good, but unfortunately the way they are being executed is poor. There are many reasons for this. Energy modeling is a great tool to analyze a structure, but the data is a projection. Homeowners all behave differently in their homes and that becomes difficult to predict. Also, modeling needs to be done on every structure prior to recommending upgrades and to my knowledge this is not being done within these programs. They are using average savings and that is a recipe for disaster. There are so many factors to consider when deciding what upgrades to implement first. For example the energy savings from a new furnace can be much different from one house to the next. Every home needs to be modeled in separately and analyzed separately. Using a HERS Rater and the HERS Index Rating is a great way to do this. We also need to do a better job of comparing the actual savings to the projected savings so that we can make adjustments to the modeling. The contractor that does the energy audit, recommends the upgrades and then performs the work is typically the same company . Hmmm……letting fox watch the hen house. Do you see a problem with this? I sure do! If you bring in an HVAC contractor to do your energy audit and recommend solutions, what do you think they will recommend first? Obviously they are going to want to sell you a new furnace or AC or both. They are not going to want to recommend insulation and have to bring in another contractor. Even if the company that is doing the audit does many different services, do you really think they are not going to recommend their money making upgrades first. I am sorry to lump all the contractors into this category, because I am sure there are some great contractors that will truly recommend what is needed with out any other agenda. Lets be realistic though, most are not that way. The weatherization programs need to require a 3rd party company to analyze the structure and make the recommendations, bottom line! Once the recommendations are determined, contractors can then be brought in to upgrade the home. Sure this will cost a little more money for the program, but it will ensure non bias opinions and in the end get better results. The analysis and recommendations are the MOST important part of the program and are being completely swept under the rug. Come on people really! Most structures can be analyzed for under $500, which is a low percentage of the dollars being put into these homes. This is an extremely important part of the process. The thermal envelop of the home needs to be improved before any other upgrades are made. There is no point in putting a brand new furnace or AC into the home if its just going to leak all that conditioned air back outside. No to mention, if you add a new furnace to a extremely leaky structure, you will just need a larger more expensive furnace to keep up with the heat loss. 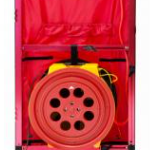 There is no point in putting in an R-50 insulation into the attic when R-38 will do just fine and the money saved can go to sealing up other areas of the structure. We need to address the thermal envelop of the home before any other energy efficient upgrades are made, period. Is this happening in the weatherization world? Not enough, I can bet on that. I believe a huge part of why these programs are falling short is lack of education. 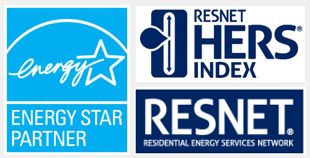 We as energy experts need to educate the homeowners that are utilizing these programs. We need to teach them how to use the programmable thermostat and what the optimal temperature to keep the home. They need to be educated on how much electricity is used by leaving lights on all the time or continuing to use incandescent light bulbs when LEDs are actually affordable now. They need to know that changing the furnace filter regularly will increase the life and efficiency of the furnace. They need to be aware that closing the blinds on a hot summer day will decrease the heat gain and opening them on a sunny winter day will increase the heat gain. All these things will add up, but we don’t take the time to educate the customer. 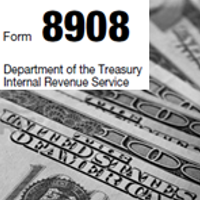 The selection process should not be based on just the property or the income of the homeowner. There needs to be a better selection process. A homeowner should not qualify if they take awful care of their property. They is no way they are going to appreciate the upgrade or have the ambition to maintain the upgrades done to their home. Then its just wasted money. We need homeowners who work hard and appreciate their home and really want to be educated on how to make their homes more efficient. Even if we have less homes that participate, we will see increased savings and be able to pump more money into the homeowners who care. We have a great opportunity in this country right now. As much as a hate to see studies such as the one done by The University of Chicago, I hope it will be a wake up call to us. If we want these programs to continue, we need to take a different approach and get serious about it. If we don’t these programs will eventually go away. If you are a homeowner looking to participate in one of these programs make sure you educate yourself. 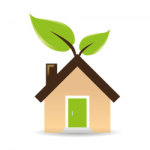 Make sure you have a separate company do the energy audit and ask a lot of questions. 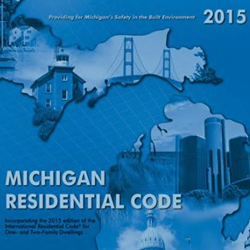 GreenEdge of Michigan is a 3rd party building science and forensic company. 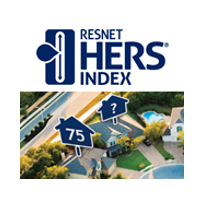 We do energy modeling with the HERS Index Rating on new and existing homes. 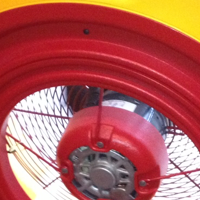 We take this industry seriously and want you to improve the performance of your home.